Vicki White Sports Therapy is pleased to offer Running Gait Assessments & Re-Training service which includes in-depth video technology, looking at Stride length, Step Width, Step Rate and Kinematics/Kinetics (the way in which our body moves). 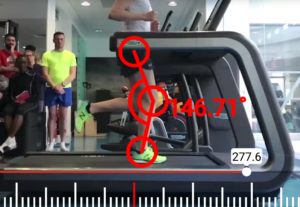 If you are constantly getting injuries/niggles or want to run more efficiently then Functional Running Assessment and Gait Re-Training could be the answer. We will look at the way you run using in-depth video analysis. Through this we can understand whether you are overloading causing tissue stress/strain, and try to create the ‘optimal’ running pattern using verbal cues and specific strengthening exercises. One size does not fit all – Each session is specifically tailored to enable athletes to improve their running style through simple cues, drills & exercises. Biomechanical & Kinetic Assessment ~ looking at the way you move and any limitations/weakness you may have. 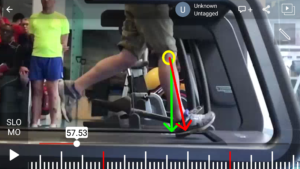 Video Analysis ~ Using slow motion technology with visual cues to allow you to see & understand what is happening during your running gait. Exercises ~ Strength & Conditioning exercises will be prescribed to aid gait improvements. Treatment ~ A personalised sports massage therapy session relieve any muscle tension, and improve range of movement.